Recruiting » Aeris Enterprises Inc.
Identifying, qualifying, and hiring best fit candidates for an open position can be a costly, time consuming process. Aempower Recruiting streamlines the hiring process through a web-enabled system that automates and simplifies the steps to job placement. 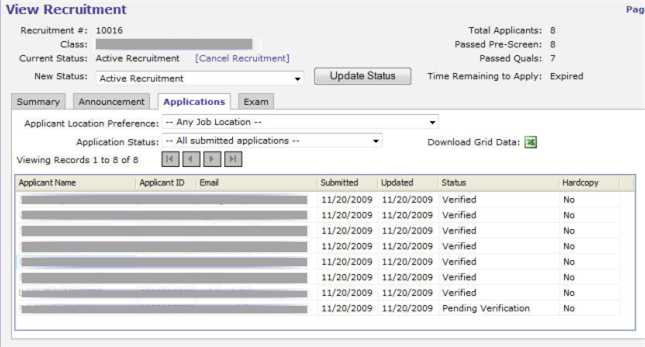 Not only does Aempower Recruiting offer an online means for posting recruitments, job announcements, and applications, but its integrated, full featured exam administration component places this solution far ahead of the competition. 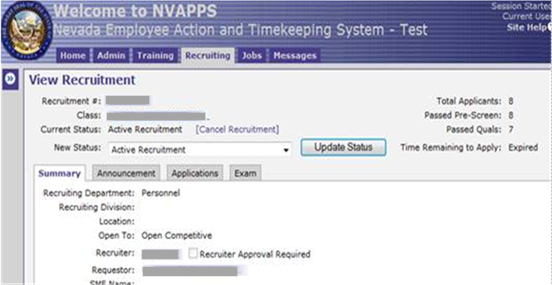 Use Aempower Recruiting to effectively track applicants as they navigate through the hiring process. 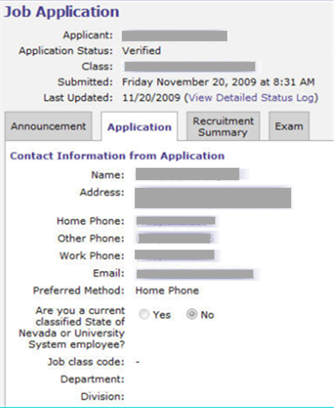 Exam plans establish the number and types of tests (written exam, oral, interview) to administer for a job class. They also define test scoring and weighting by test to determine eligibility. 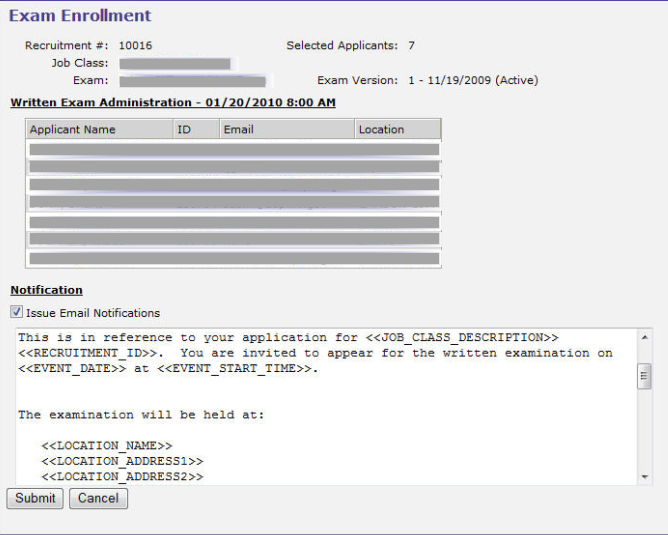 During exam definition, administrator chooses from an Item Bank of test questions that can include client-specific questions, as well as those from a third party resource. 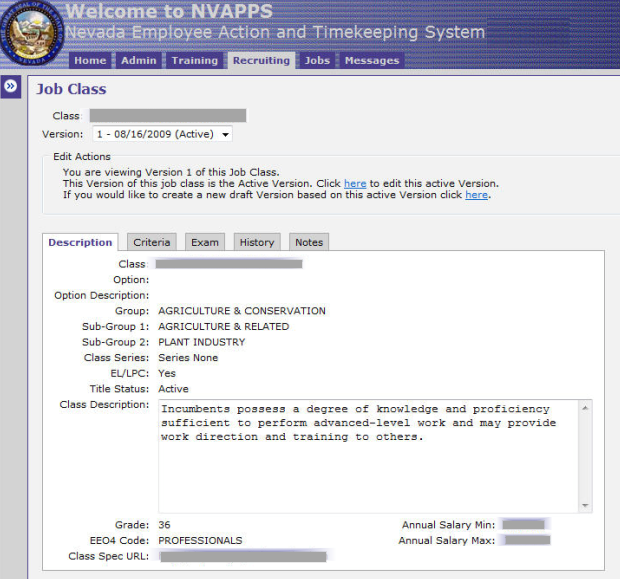 Administrator specifies section weights, pass/fail criteria. 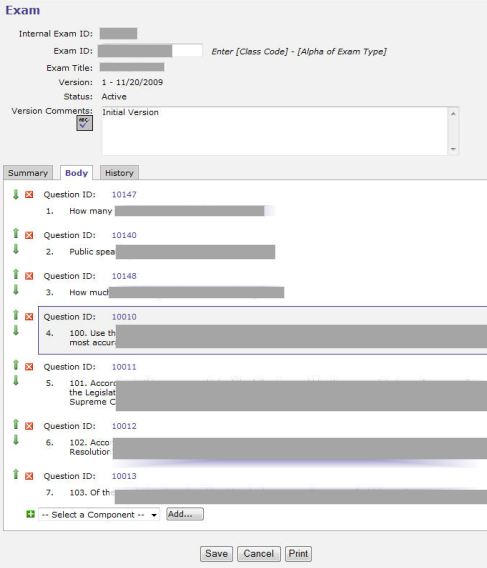 Flexible test scoring model determines item-specific score values, section pass points, exam pass points, scoring standardization. 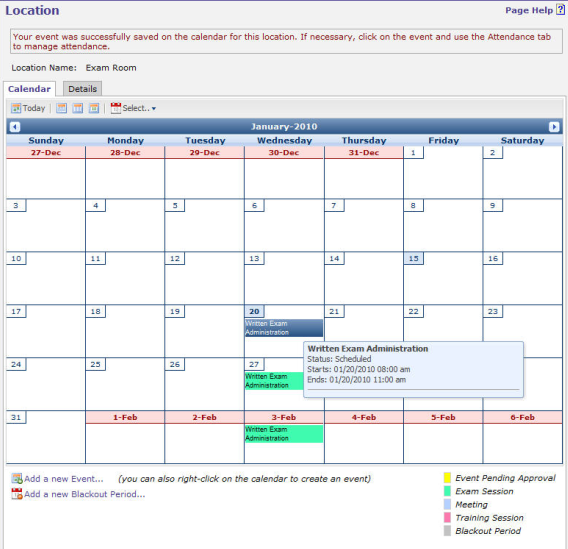 Scheduling component establish test sessions through use of the calendaring function to choose time, date and location. 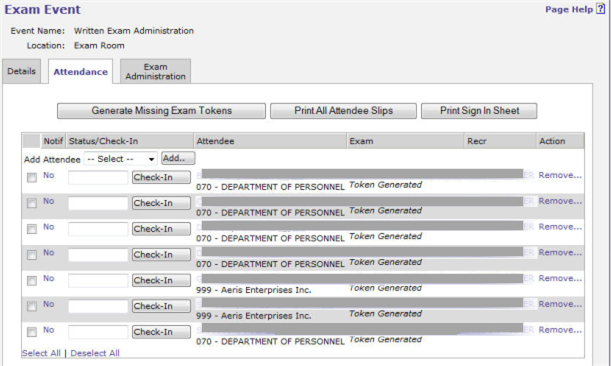 Secured testing sessions provide means for controlling access by location and examinee. Automatically formulates item statistics for standardized items. Means for analyzing test stats across the test subject population to determine test efficacy.